Otley BID Holds Its 4th A.G.M. The 2017/18 BID A.G.M. was held on Tuesday 17th July at the Falcon Sports & Social Club, it was also the bi-monthly Chamber of Trade meeting. There were 35 people in attendance of which most, although not all, were BID businesses. During the formal parts of the A.G.M. the two newest board members, Katie Burnett & Sam Pinder, were approved by a show of hands and the retiring board member, Peter Heald, was re-elected by the same process. The meeting then turned to exploring the new 2019/24 Business Plan. Each board member took it in turns to explain the contents and Tony Massarella, our accountant, went through the 2017/18 financial accounts – these can now be viewed on our website www.otleybid.co.uk. The meeting was then thrown open for questions from BID businesses. There followed a lively discussion about the pros and cons of re-electing the BID for a further 5 years. Most, although not all, in the room felt that the town would benefit from a further 5 years BID term, however, this can only be decided by a democratic vote during the upcoming ballot to be held from 8th October to 9th November 2018. 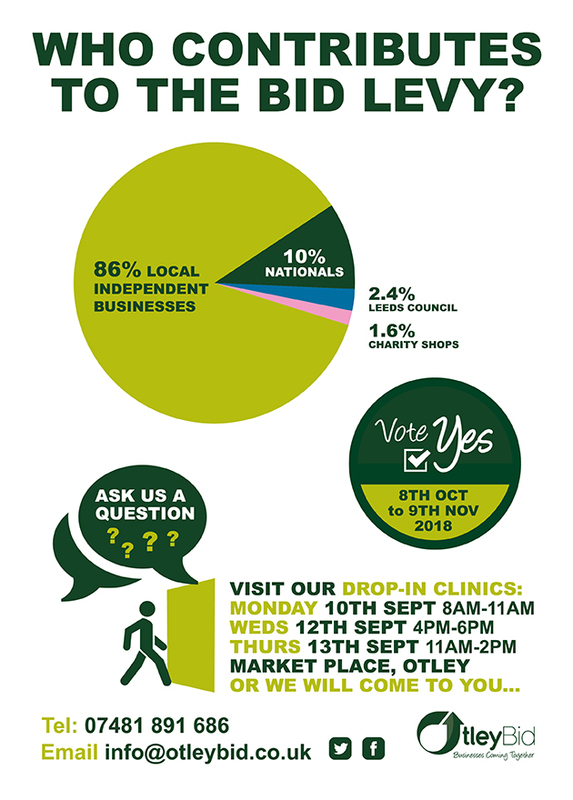 Steph Lee, the Chair of Otley BID, told everyone that over the next 2 months as many businesses as possible will be visited by either a board member or a BID Champion to deliver copies of the 2019/24 Business Plan and to explain the importance of voting “YES”. The Ballot : Vote YES in October 2018! Our 2019/24 Business Plan can now be viewed on our website www.otleybid.co.uk. Our hope is that you will agree with us and vote for a second five years in October 2018. 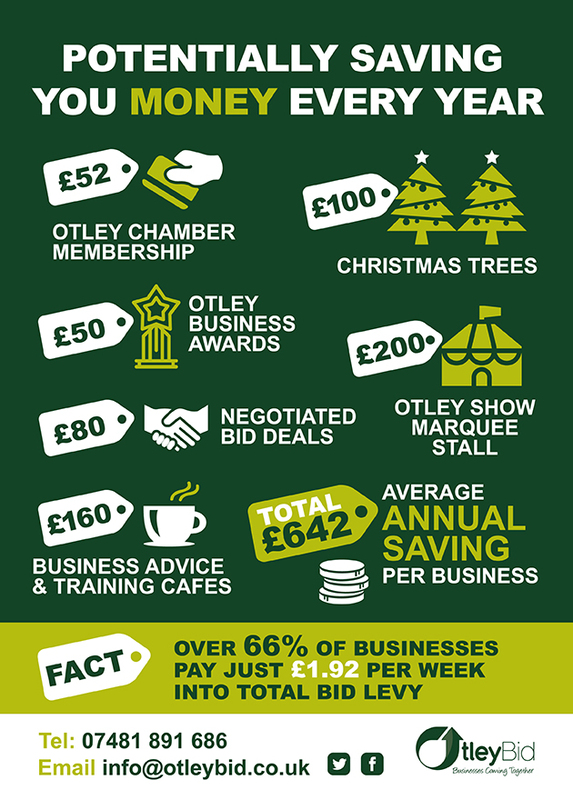 If you have a business within the Otley BID area and have questions to ask please contact Tim Wilkinson at tim.wilkinson@otleybid.co.uk or on 07481 891686. Latest AGM, Monthly Updates, Otley BID, Otley BID Update. permalink.